It’s been a while since I have updated any of our rooms in the house. We went through the house doing every room up but there is only so many rooms to complete! Then what do you do once it’s done?! It makes me twitchy on interior websites, finding those new ideas, new pieces and what else I can add to the house! 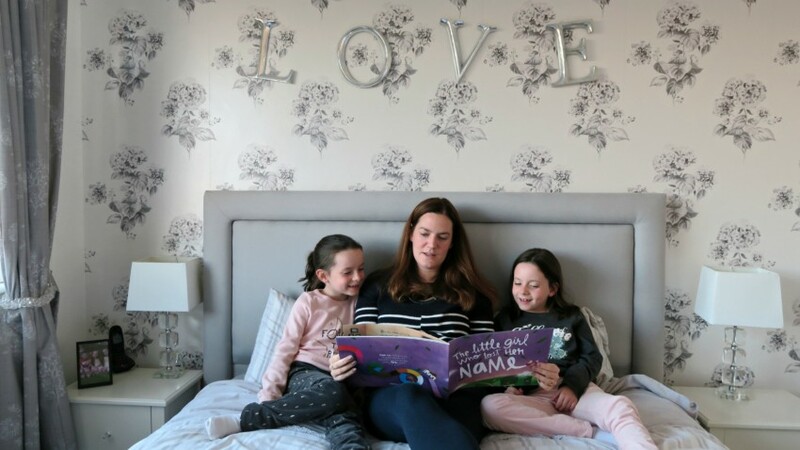 So when Wayfair asked me to have a look around their website and find some of my favourite pieces, I couldn’t help but think of my bedroom! I love our bedroom, it’s very relaxing as it’s currently white and grey, but I am thinking about adding some warmth to it. I love the idea of adding a little bit of dusty pink. So I was immediately drawn to some beautiful pink pieces, and Wayfair didn’t let me down. Wingback Chair I really would love an occasional chair in my bedroom, one that I can sit comfy on and put on my socks on in the morning, or as it’s the most relaxing room curl up and read a book on. 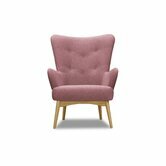 This blush pink chair looks very comfy with its high winged back and arms. Upholstered Platform Bed This upholstered bed is perfect with its high headboard which is comfy enough to sit up in and rest your head on. This ties in with my grey colour scheme and ticks all the boxes. It also has cute little wooden feet to tie in with my bedside tables. 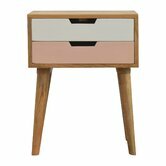 2 Drawer Bedside Table I love these new style of bedside tables, with simple legs and 2 little drawers they give you just what you need. The pink draw ties in perfect with my pink colour scheme. Sorrento Rich 200 TC Duvet Cover Set Bedding is very important in your room, it needs to be comfy but pretty. 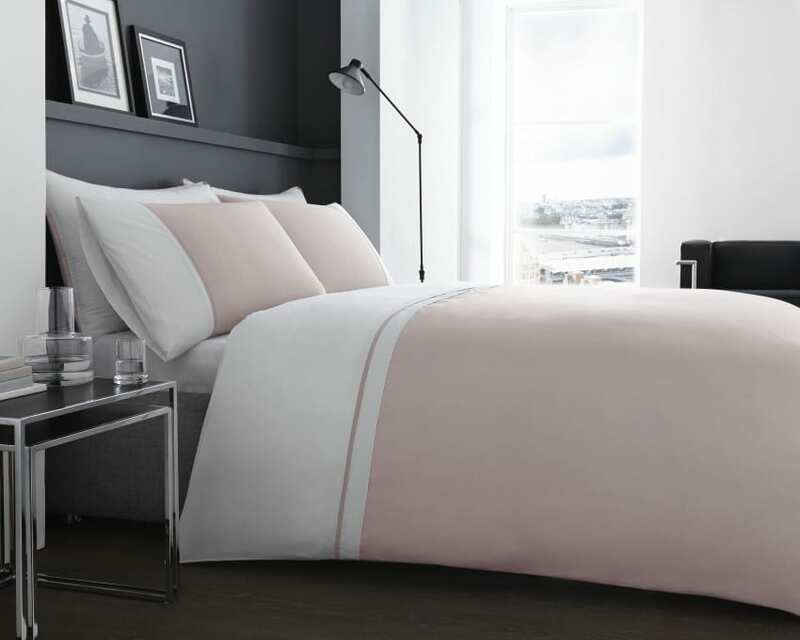 I love the white and pink colour of this duvet to tie in with everything else. Tube Alarm Desktop Clock Bedside alarm clocks isn’t something I have looked too much into, I thought they were all very basic and normal. Not this tube alarm clock! 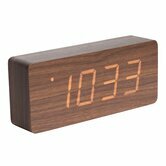 I love the wooden block shape with the simple digital numbers on the front. Makes it more of an ornament than an alarm clock. 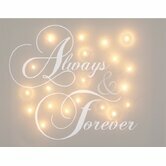 Illuminated Always & Forever Textual Art on Wrapped Canvas I know this is quite cheesy, but when I saw this illuminated canvas with Always & Forever on, it had to make my selection. This is what me and my husband always say to each other in cards! So what do you think? Anything you loved too? 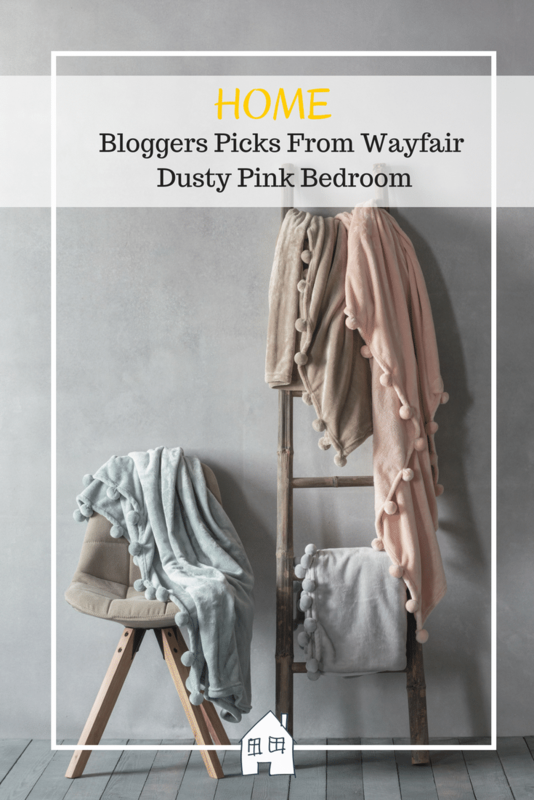 Now I just need to convince my husband that a few dusty pink items would look lovely in our bedroom! I have heard of Wayfair and they have a lot of great products. I better not show my wife. she may start spending money we don’t have. LOL. Joking aside. I even like some of the furniture you have shared thus far. Thank you, there is so many things I could buy from Wayfair!!! The chair looks lovely. We have room for a chair but yet to find the perfect one! Why is it so tricky to find the perfect one?! I was actually checking out the deals on Wayfair the other day as I need a new bed frame and that’s the bed I was looking at. I really need a new bed frame as my current one is not adequate anymore. This stuff is all so lovely, I really like that alarm clock and the illuminated canvas – that pink chair is very cool too! I am a little in love with the pink chair! I love Wayfair. They have some of the most amazing home items ever. Need to go browse on their website now. Its brilliant isn’t it, they have some brilliant pieces. Could spend ages on the website!! SO pretty isn’t it, would fit perfectly in a corner wouldn’t it!